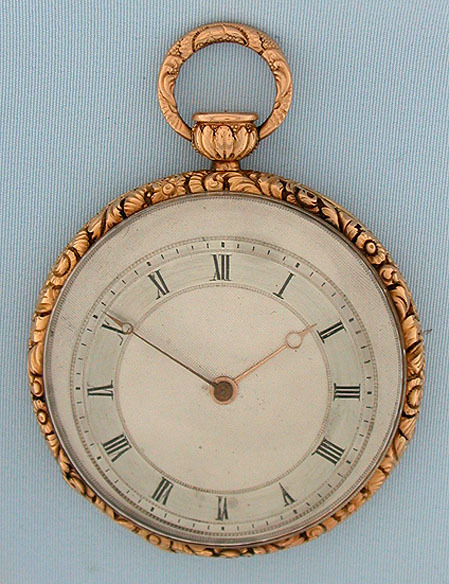 Fine and elegant slim Breguet style 18K gold antique quarter repeater pocket watch with eccentric dial circa 1820. 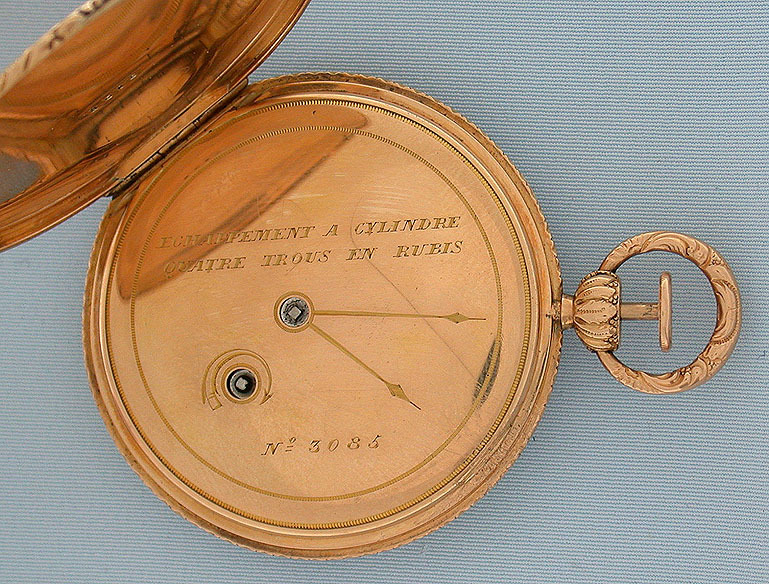 Breguet style silver engine turned dial with gold Breguet hands. 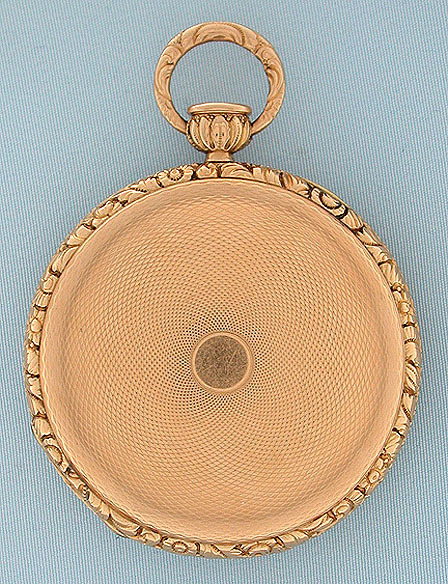 The case with heavy cast decorative floral bezels, pendant, and bow. 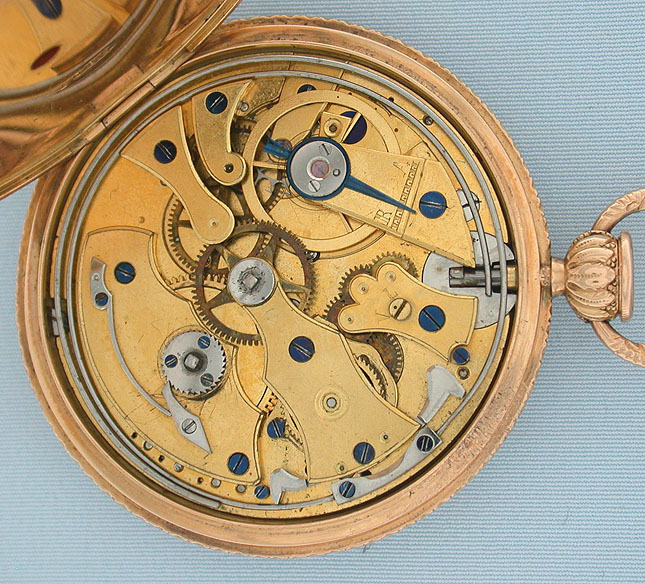 With Breguet style button in the pendant which is withdrawn, rotated, and then depressed to activate the repeater. Gilt 4 jewel cylinder movement. When activated, this watch chimes the time using different chime tones to designate the hours and quarter hours with loud and clear tones.